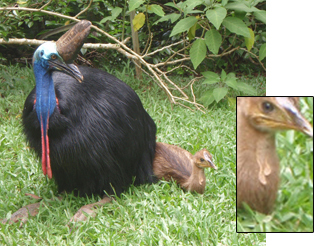 Helping the cassowary survive and thrive in it's natural environment. 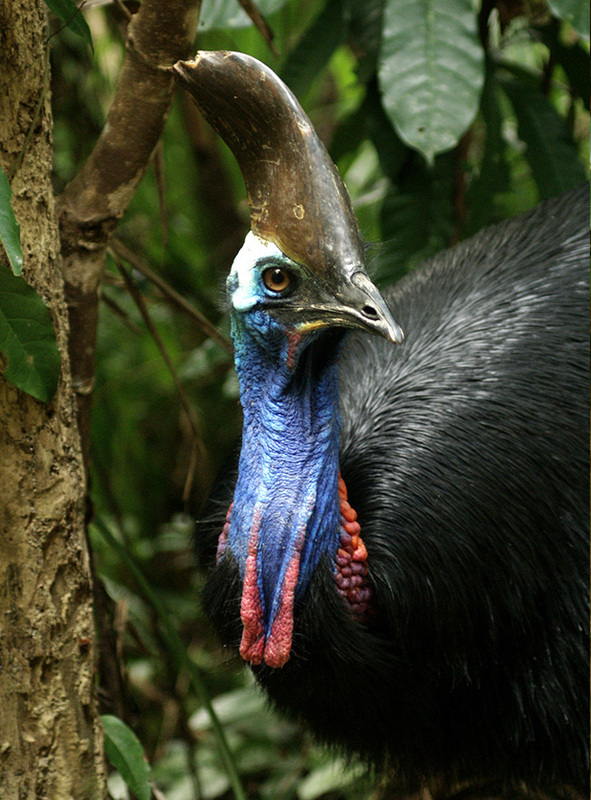 The Community Cassowary Identification and Tracking project is about information sharing that can involve the whole community. 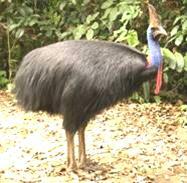 The project is primarily targeted at recording the cassowary population at Mission Beach but we love to receive any stories of interest. 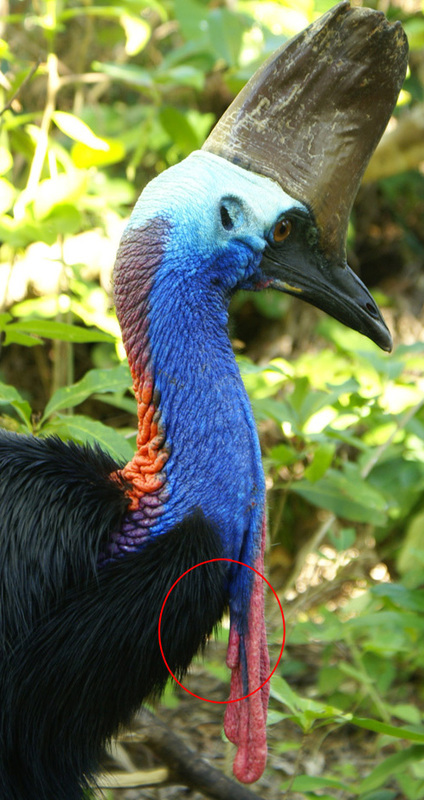 Your information is used to identify and track individual cassowaries. 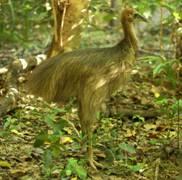 It gives us a better insight into their behaviour, movement in the landscape, how they interact with other birds , their mating habits, survival of chicks and dispersal of juveniles. 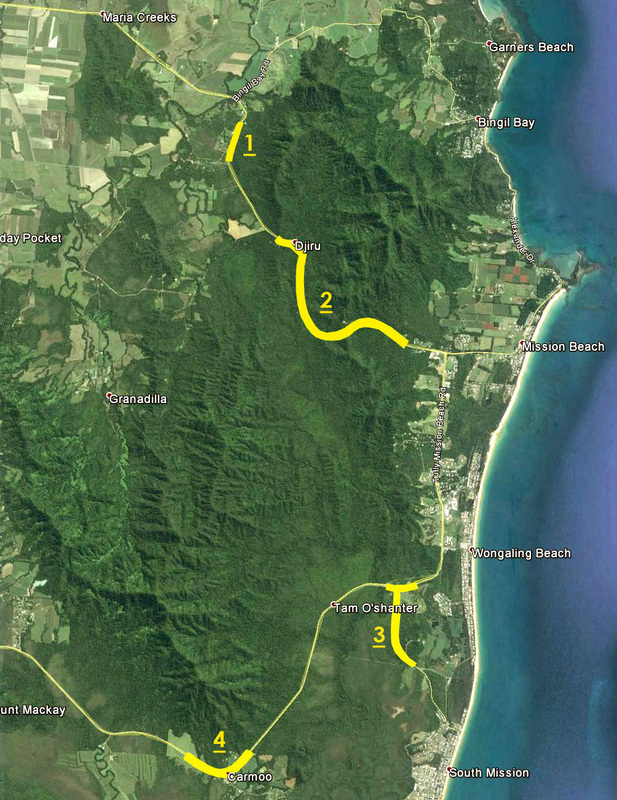 The big day to day continual database is also able to show what birds cross which roads, what activities or obstacles may place them at risk such as fencing, dogs or interaction with people and can identify key lots for protection or buyback. New technology with smart phones and digital cameras is offering better opportunities to gather quality information. 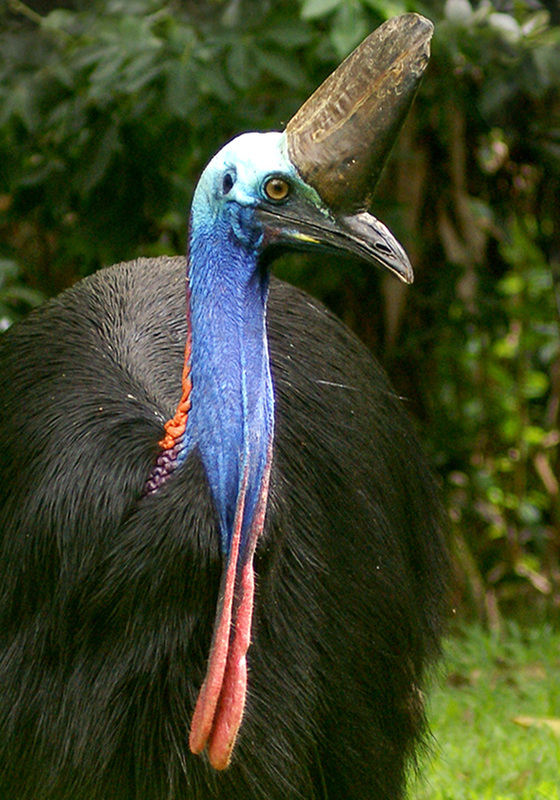 Cassowaries are as individual as people and as adults can be very easy to tell apart. The older they are, the easier it is. 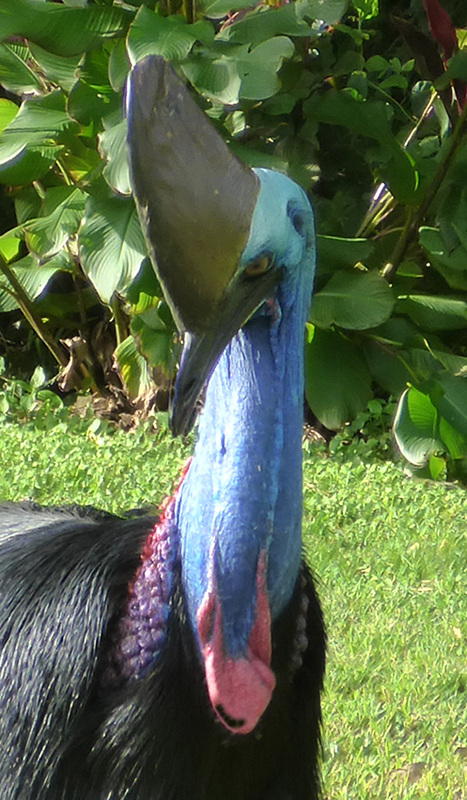 As cassowaries can live up to 50 years of age sometimes one distinguishing feature is all that is needed. 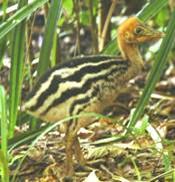 We can identify birds from as young as a young juvenile if we have a clear photo. Adults; The casque and wattles of a mature adult may be all that is needed for identification. 'Bella' believed to be around 50 yrs of age. Her casque is noticeably tall and straight. 'Barbara' also believed to be around 50 yo. Displaced by 'Cyrilina'. 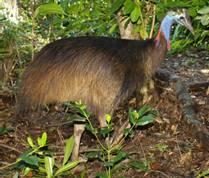 Distinct curved casque and short wattles. 'Ms Cass' Small third wattle and she has a white patch on the back of her right foot. These features are helpful when following the dispersal of birds and can identify an adult from the juvenile stage. We were able to follow Cyrilina's progress to adulthood from a young juvenile by the shape of her left wattle. 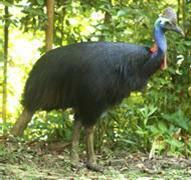 To establish a range at Bingil Bay/Garners Beach she displaced the resident matriarch 'Barbara' (pictured above). Juvenile -Tan brown up to 8 months when the red and blue neck colours begin to show through the brown quills. This is near the time when the chicks are abandoned by the male. Sub adult - From 1 to 4 years. Brown quills gradually disappear as replaced by black. Neck has full colour. Casque grows quickly and is fully formed when reaching age of maturity at 4. Adult (male) Smaller than female. 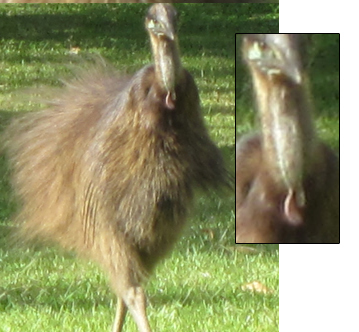 Male rears the chick.Tail is more droopy than the female. Male rears the chick although their are exceptions when the female is seen co parenting and on rare occasions is the single parent. 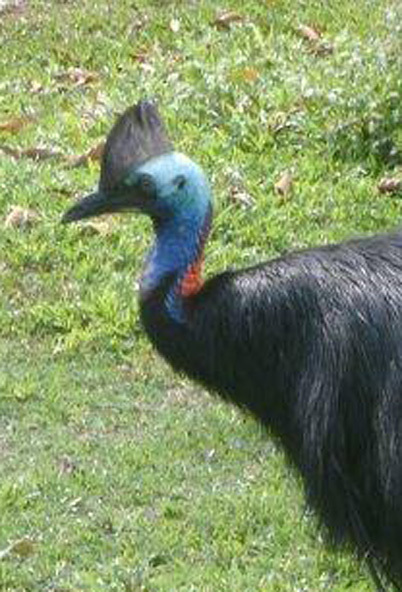 Adult (female), Significantly larger than the male. Contrary to ssome belief the male and female colours are the same. One is not brighter than the other. 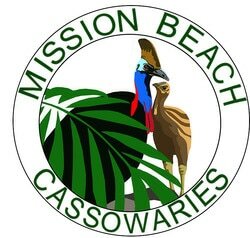 Mission Beach Cassowaries Inc. (MBC) would like to thank all those who contribute their stories and photos of cassowaries via facebook, email and at our market stall. The information gathered is invaluable and is used as support material when we attend meetings, submit comments for planning decisions and respond to media interest.